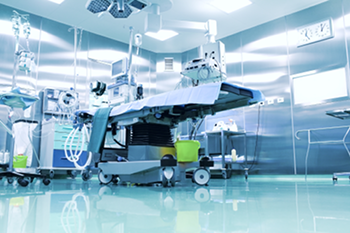 Safety first: How should your operating room look like? The patient’s safety is the most crucial thing during an ongoing operation. Along with the surgeon’s expertise, the safety of a patient is highly dependent on the operation theatre as well. Since 2008, numerous research studies have been published on the website of Joint Commission. These studies have pointed out that majority of the times, it is not the disease or the doctor that are responsible for the patient’s death; rather, it happens due to issues present in the operating room itself. In Baltimore, cosmetic surgery is one of the fastest rising services in terms of popularity. And when it comes to cosmetic surgery, one slip, one overlooked safety precaution, can mean a disfigured appearance. Let’s take a look at the top safety measures. If you have registered yourself for breast augmentation, do not sign the consent document before having a look at the operation theatre the procedure would be performed in. Firstly, the operating room should not be carpeted – it’s nigh impossible to keep carpets constantly disinfected. Secondly, it is important to check the material of the blinds. In short, everything in the room should be of a material and shape that can be, and is, sterilized. There is no end to the importance of required surgical instruments and their availability in the operation theatre. Before the beginning of the surgery, it is the responsibility of the OR technicians to prepare the instruments by sterilizing them. This is so significant that World Health Organization has actually published a checklist by the name of ‘Safe Surgery Saves Lives’. Lawfully, the presence of the instruments has to be verified as per the checklist to ensure deliverance of the surgery. Surgeries are extremely meticulous procedures. An operation theatre should have properly positioned and functioning light. It is the responsibility of any operation theatre technician to make sure that the lights are working and the generator is connected for any emergency. It is crucial for the operation theatres to have extensive alarm systems. During surgeries, any sort of emergency is expected. If there is a proper alarm system, it would be easier to deal them. The responsible person would know when it is their turn to take up the charge. It is also the duty of operation theatre technicians to make sure that person who would be going for the surgery must sign all the required documents. Patients’ safety is important but so is that of the hospitals. Even after the surgery has taken place, histories and medical records of the patients should also be updated. This would help the surgeon in the follow ups of patients’ medicines and recovery. If you are interested in plastic surgery, look out for these things before registering yourself. Previous post Things to Think About Before Getting Cosmetic Surgery As Recommended By Plastic Surgeons in Baltimore Next post You Are Invited to Our Annual Spring Event!